Come visit to see our Wearable Art on T-shirts and Totes on Shopify. Even if you don't buy today, we would love your comments and ideas for designs. Thanks and Slow travel. Wow. Fun designs! I just received my order. 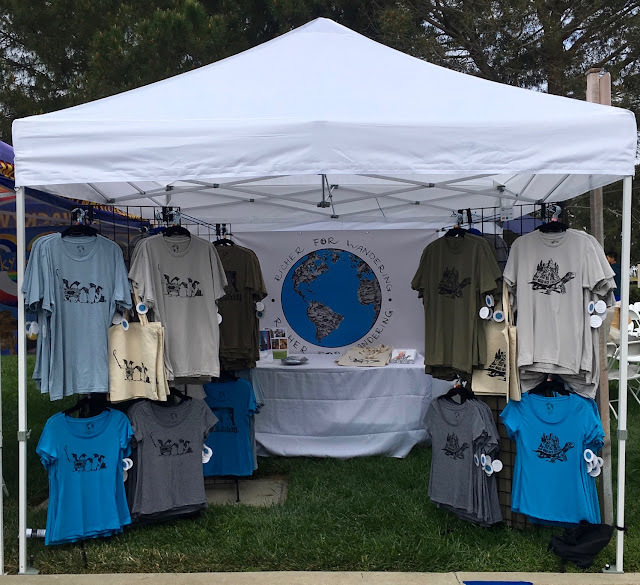 T-shirts nice and soft; Tote bags very hefty for farmer's market, and Greeting Cards nice size (4x6 inches). Makes me want to travel -- slowwwwwwwwlllllyy!! Thanks Beth, we are so happy you like the shirts. We can't wait to see where your travels take you. Have FUN! I LOVE my turtle shirt! Got it yesterday at December Nights (Balboa Park San Diego). Your booth was such a draw -- and (turned out to be) your father was such a positive, informative, friendly advocate for your creations. Soft, wonderful to wear. Getting compliments with every encounter. We had just gone to the IMAX theatre and saw rescue of sea turtles. Perfect! I have on my VW van "All who wander are NOT lost." Continued happy, rich wanderings - and thank you.